Getting Good is a commercial playground structure with a whole lot of activity going on. The play load for this structure accommodates up to 15 children ages 2-5 years with a collection of adventurous learning and imaginative play activities. The Gear Panel helps children learn about basic mechanics in a fun way, while the Mini-A-Maze panel helps them exercise problem solving, coordination and visual acuity skills. 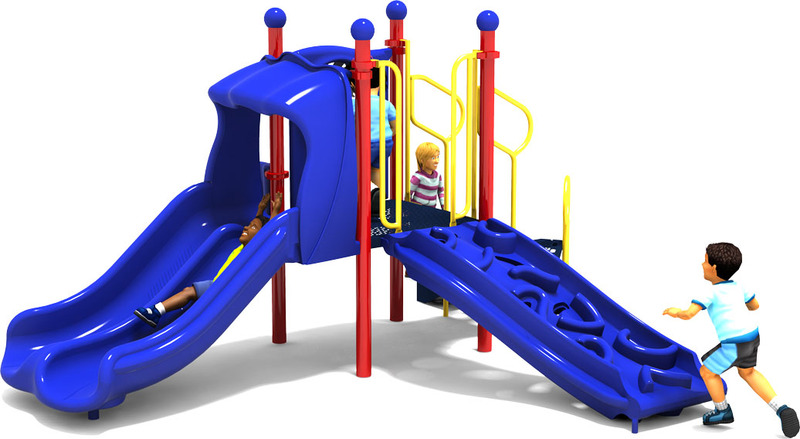 Getting Good encourages cooperative play with tandem slides, allowing children to safely enjoy the exhilaration with friends. The Apex Climbing Attachment makes climbing up just as much fun as sliding down, with rotationally molded plastic foot and hand holds which feel like mountain climbing fun. Getting Good has a total structure weight of 802 lbs. 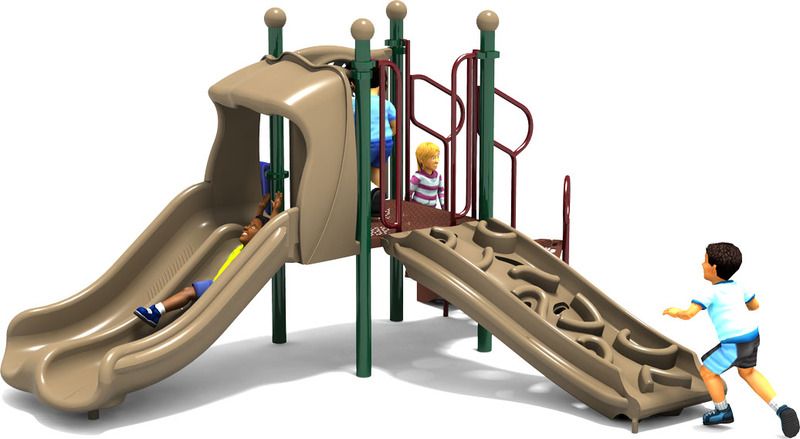 Features 1 Double Slide for group play. 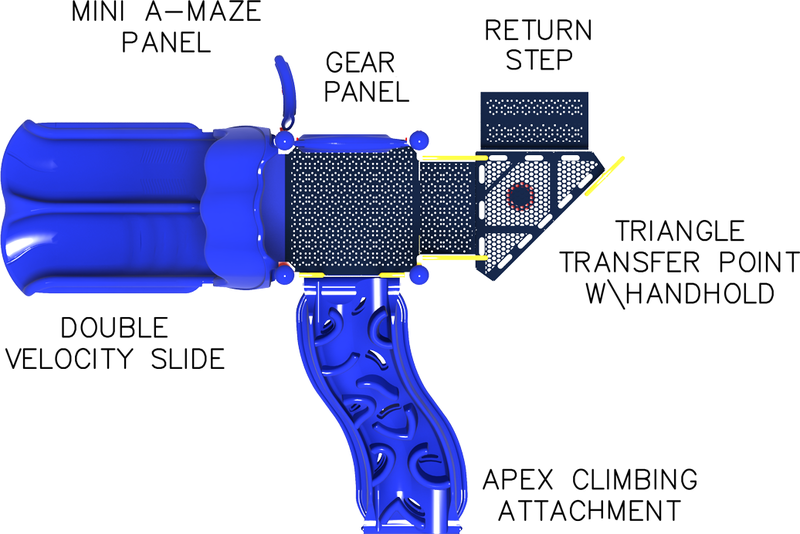 Includes the fun Apex Climbing Attachment with hand grips. ASTM and CPSC certified, and ADA Accessible design. Our decks are PVC free for healthy play. 15-year limited warranty offered on quality rotationally molded components and decks. Commercial grade 3.5 12 gauge upright posts feature a powder coated high gloss and lead free paint finish with lifetime limited warranty. Includes ADA accessible transfer station with hand hold and return step. Explore hundreds of custom color combinations to choose from. We can match your playground to organizational theme or brand colors, or help you create a natural colored playground to integrate with the landscape. 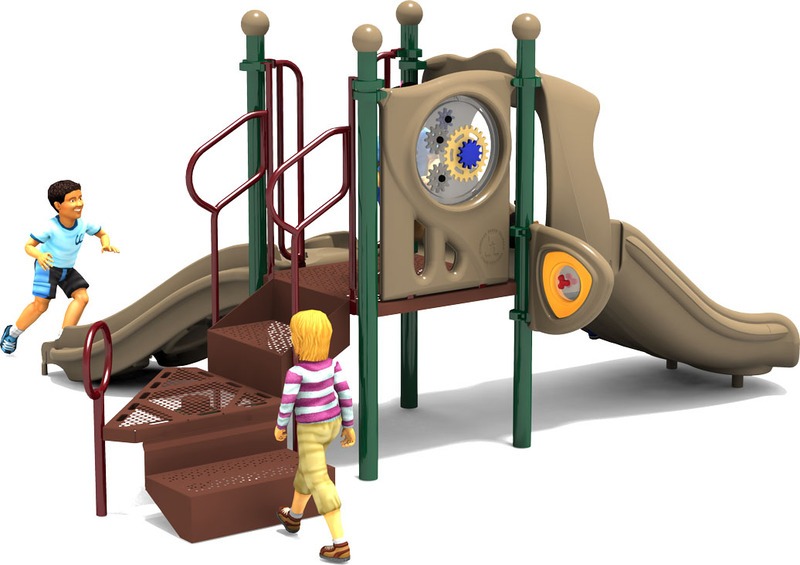 American Parks Company is an industry leader nationwide and we specialize in quality, durable commercial playground equipment for churches, schools, hospitality and tourism parks, municipalities, and residential communities. Call us at 1-800-381-4491 to learn more about accessories including site furnishings, benches, shelters, and other park essentials to build your perfect outdoor space. 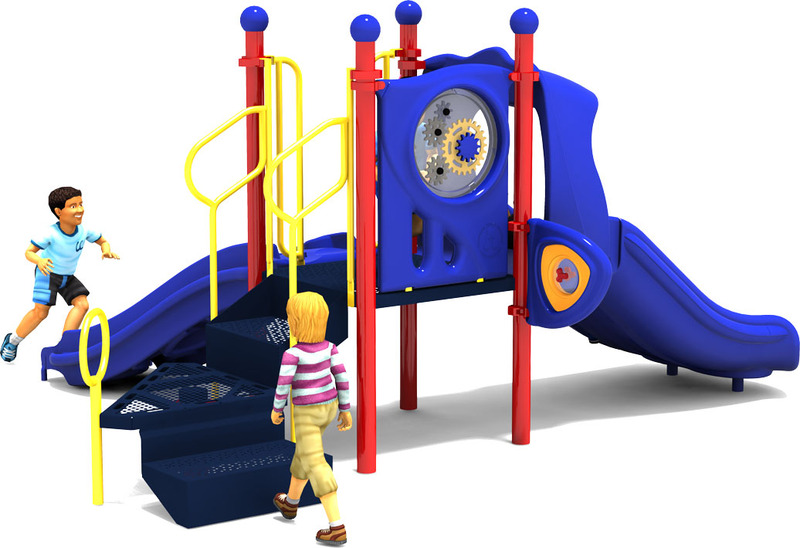 1 Double Slide, 1 Apex Climbing Attachment, 1 Mini-A-Maze Panel, And More!